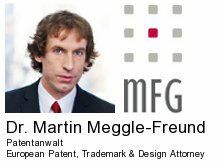 Eine mündliche Verhandlung findet entweder auf Antrag eines Beteiligten oder, sofern das Europäische Patentamt dies für sachdienlich erachtet, von Amts wegen statt. Das Europäische Patentamt kann jedoch einen Antrag auf erneute mündliche Verhandlung vor demselben Organ ablehnen, wenn die Parteien und der dem Verfahren zugrunde liegende Sachverhalt unverändert geblieben sind. In the Board's view, Examining and Opposition Divisions, and Boards of Appeal, have a discretion as to the way oral proceedings are conducted, particularly having regard to the need for procedural economy and fairness to the parties. This discretion enables the competent tribunal to allow a party to use flip charts, PowerPoint presentations, etc., as an aid to oral presentation, or to refuse to allow the use of such means.